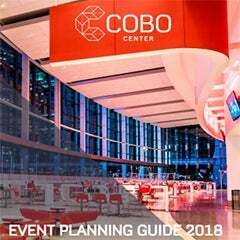 Thom Connors has been named General Manager of Cobo Conference and Exhibition Center, the Detroit Regional Convention Facility Authority (DRCFA) has announced. Connors is also Regional Vice-President of SMG, the facility management company recently selected to manage Cobo Center, the nation’s 20th largest convention center. SMG is the world’s largest company specializing in the operation of convention, sports and entertainment facilities, with responsibility for over 200 venues worldwide and a track record of successful business revitalization and facility renovation. 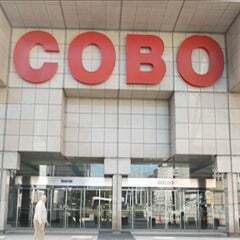 According to Larry Alexander, chair of the DRCFA, Connors will be responsible for steering initiatives that will help turn Cobo Center into a customer-driven, high-tech center focused on top quality service and operations. “Thom was selected because of his extensive experience negotiating facility and labor contracts, creating and executing customer service initiatives, hiring qualified staff, overseeing facility and event operations and implementing sales and marketing initiatives, all of which he will direct at Cobo Center,” Alexander said. 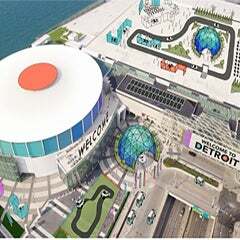 Connors and the SMG team are already working closely with the Detroit Auto Dealers Association to identify and implement facility and operational improvements for the upcoming and future North American International Auto Shows. “We are pleased at the new level of synergy between the Cobo management team and the North American International Auto Show (NAIAS). The Detroit area dealers feel with this new management element, we will accomplish together a continued stability and even greater successes for NAIAS,” said Rod Alberts, Executive Director, NAIAS. Connors since joining SMG in 1982 has been involved in the planning of over two dozen new projects coordinating research, design and input prior to opening. Most recently, he was Senior Regional General Manager of the Irving Convention Center, overseeing the startup of the new $133 million center, slated to open in January, 2011, and responsible for oversight of SMG facilities and business development throughout the Caribbean and Latin America. Previously based in San Juan, Puerto Rico, he established SMG’s Latin American office there in 2006 and oversaw operation of the Puerto Rico Convention Center. He also has served as Senior VicePresident of SMG’s Convention Center Division, Director of Development for SMG Europe He began his career managing public assembly facilities in 1978. Connors, a Michigan State University graduate, is active in many industry organizations. In 2005 and 2006 he was named one of the “100 Most Influential People in the Industry” by Tradeshow Week magazine.